As we all know, Procol Harum has been known for their interest in the Norwegian Vikings. Gary Brooker often refers to the Vikings on stage. He has also, on several occasions, claimed that the inspiration for the song Beyond the Pale came when they once were sailing in one of the many Norwegian fjords, and came from a Norwegian folk song. 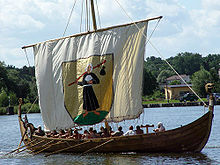 We also know that the HBO series Vikings is a favourite among several of the Procol Harum Band members. Procol Harum fans will already know that the upcoming On The Blue Cruise seems to be a real winner. Inspired by this, the BtP management in cooperation with the band, the BtP team (in particular Jens from Norway), and the Norwegian owned Viking Cruises , will run an In The Waves of The Vikings cruise next year. • Visit to Drammen, where Procol Harum last played earlier this year to see and hear the Spirit of Nøkken, which gave the name to Procol Harum's 2009 live album Spirit of Nøkken. 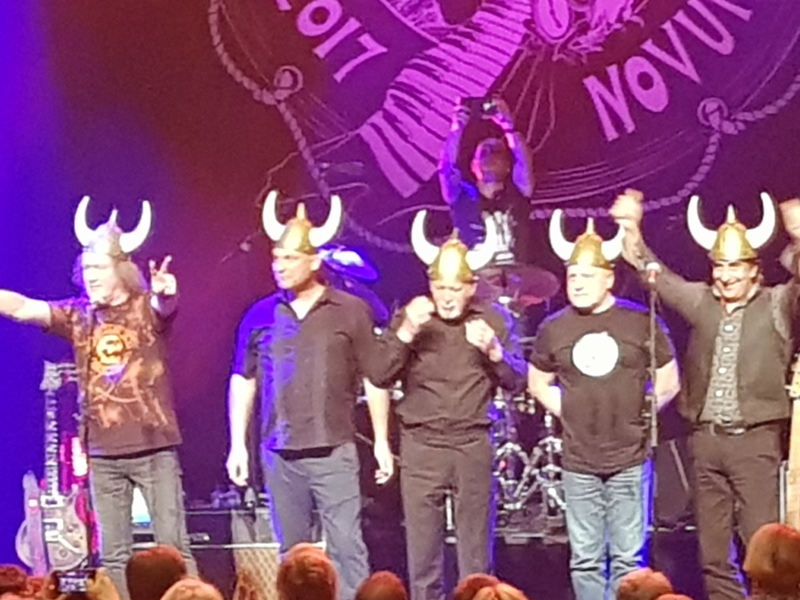 • Visit to Bodø, where Procol Harum have performed on several sold out concerts, latest this year where they also tried out their Viking helmets on stage. In Bodø Procol Harum will give a guided tour to the mahlstrom Salttstraumen. Weather permitting they will perform unplugged versions of A Salty Dog, Whaling Stories and Mabel from a raft in the mahlstrom. • Visit to Tromsø (special request from manager Chris Cooke), where you can see the Northern Lights and ride a dog sleigh. • And the highlight of the tour: a visit to one of the famous Norwegian fjords (name of fjord currently not disclosed to avoid non-paying audiences) where Procol Harum will perform, on a Viking longship. They will be wearing their Viking helmets and will perform an extended ninety-minute version of Beyond the Pale. Procol Harum will perform an unique concert every night in the ship's theatre. Many new songs promised! The Palers' Band will give pop-up concerts on various places in the ship during the cruise. We expect the cruise to be competitively priced, and remember everything is included: your cruise, all meals (24-hour options available), gratuities, all concerts and the DRINKS ARE FREE. You will of course also have many opportunities to meet and greet with the band members. Procol Harum testing their Viking helmets in Bodø. The Viking Star in a Norwegian fjord A Viking longship. Similar to the one where Procol Harum will perform Beyond the Pale. More details will follow. To make sure you are in the loop, and get the details as they are released, please send an e-mail to us using this link. People will know that Norway has a long sailing tradition. And Norwegian ship-owners also 'invented' the cruise industry. Royal Caribbean Cruise line (one of their ships will be host of the On The Blue cruise) was founded in 1968 by three Norwegian shipping companies. Viking Cruises was founded in 1997 by Norwegian Torstein Hagen doing river cruises all over the world in their large fleet of Longships. 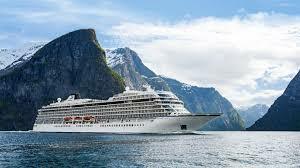 Their ocean going division was announced in 2013 and their first ship, Viking Star, was launched in 2015. It's homeport is in Bergen, Norway. For a while it was The Only One for the cruise line, but they now have a fleet of four ocean going ships with more on order.